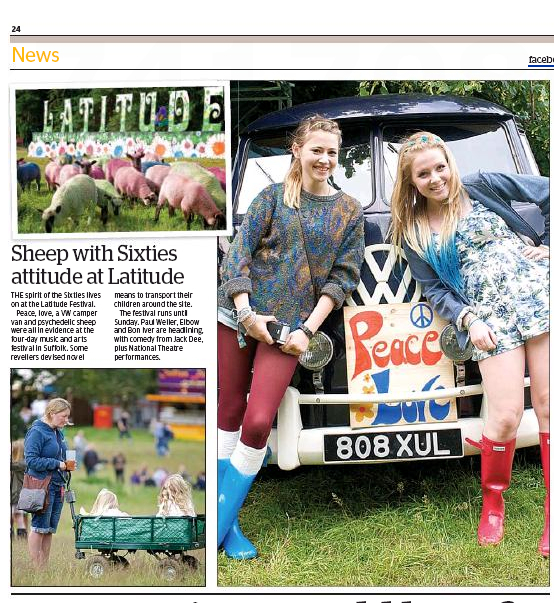 Thank you London Evening Standard for spotting the love spreading through this year’s Latitude festival (see pic of our Pandora’s Playground love buggy above). A massive thank you to all at Latitude 2012. There was no way the rain was going to stop play. A great time was had in the Film & Music Arena. Latitude gratitude to Summer Camp, Dan Avery, The Small Town Bullies, DJ Ben Osborne, Overlap, The People Pile, Ian, Stephanie, Johnny, Matt and Lobster films, and a huge thank you to Apple Corp for the two stunning Beatles film clips from 1967 they gave us. The Psychedelic Curiosity stage spread the good vibes in Pandora’s Playground, embracing Psychedelia’s folk roots, rock connections, steampunk and the club music continuum. Big Love to the fantastic Kal Lavelle, Ryan Keen, Tiny Dragons, Kevin Pearce, Peter Hepworth, Jake Morely, Si Begg, Fiona Bevan, Antonio Lulic, Artworks, Rupert the Brewer, Emil, Harriet, Jo, Laura, Sue, Ian, Pheobe, KT, Joseph, Mark, Dennis, Matt, Annalea, Rosie, Blanca, Reece, Rev Counter, the irrepressible Preacher Sam, Louise, Fran and, of course, a massive thank you to Tania. 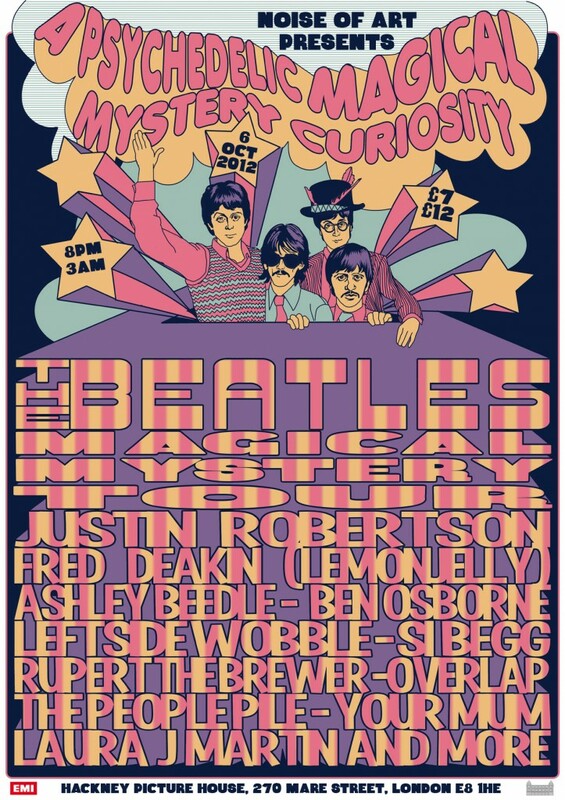 Noise of Art returns to Latitude on Friday 13 July to present a three day Psychedelic Curiosity. 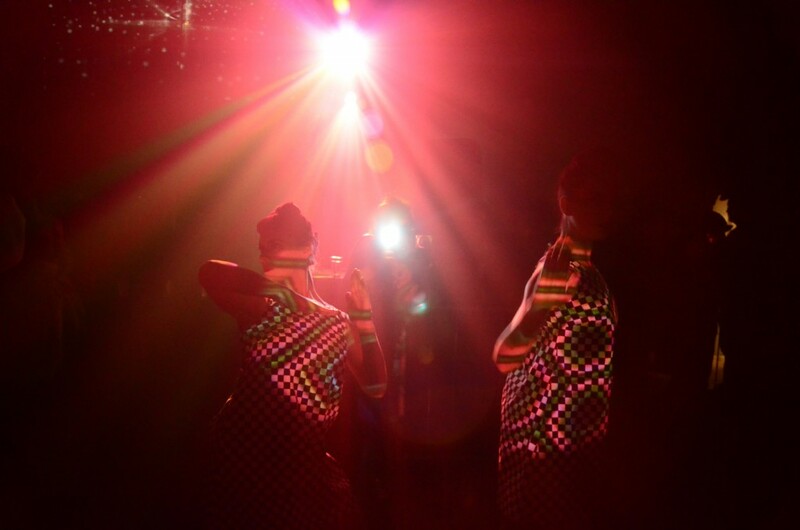 The happening starts with a psychedelic nightclub in the film and music tent on Friday, followed by three days of events on a purpose built stage that pops out of a 1965 VW camper van. The van is a vintage hippy festival vehicle that’s been converted into a solar powered stage. The line-up includes international bands, up and coming acts and film festival debuts. On the 45th anniversary of the Psychedelic movement, Noise of Art’s show re-imagines why Victorian design and fashion was a main ingredient in the Sixties Psychedelic movement. It imagines that two universes collided in 1967. One was a steampunk world. The other was the Carnaby Street of Sixties London. Which is why, amongst other things, Peter Blake’s cover for Sgt Pepper’s Lonely Hearts Club Band is based on a Victorian circus.